When it comes to emails, the message body is often only half of what's being shared. Oftentimes, emails include attachments as well. 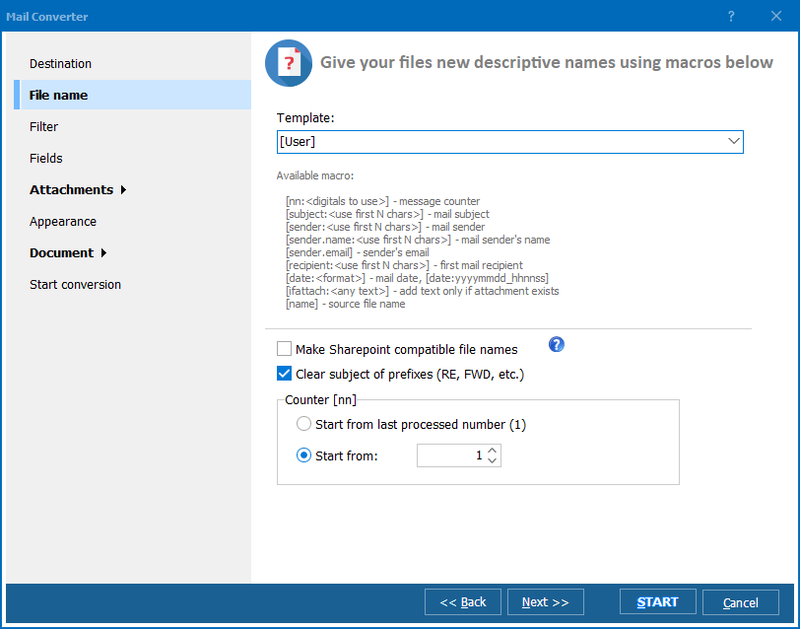 Part of what sets the Total Mail Converter Pro apart from other converters is its ability to work with email attachments. 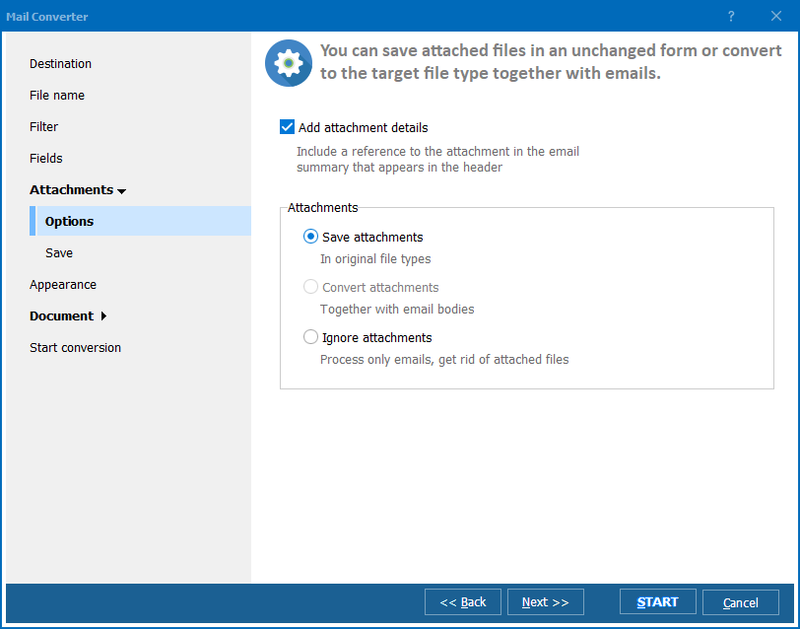 To that end we've included a variety of features that let you choose how to handle email attachments at the time of conversion. 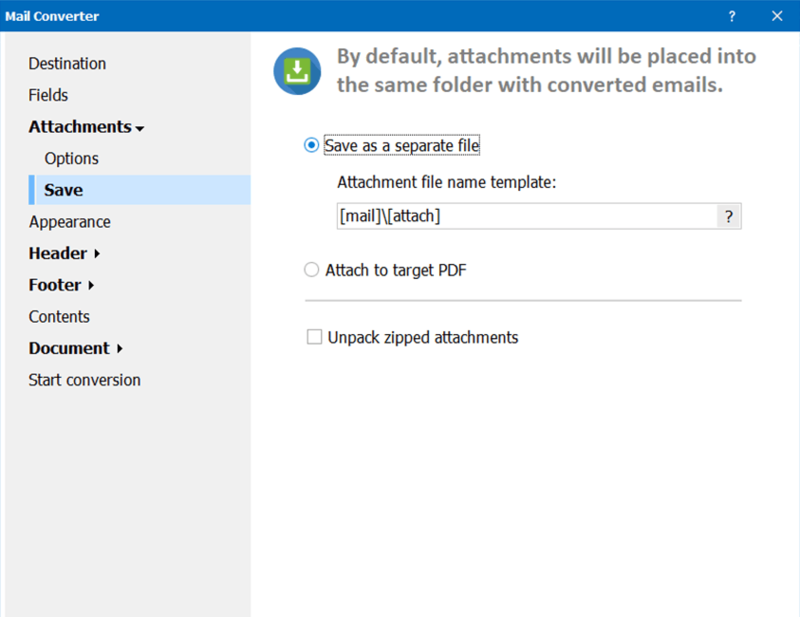 Once you've decided which email message to work with, you can tell the Total Mail Converter Pro how to handle any associated attachments. Case 1: I have an email with several Word document files attached. I want to convert the email and attached Word files into one PDF document. 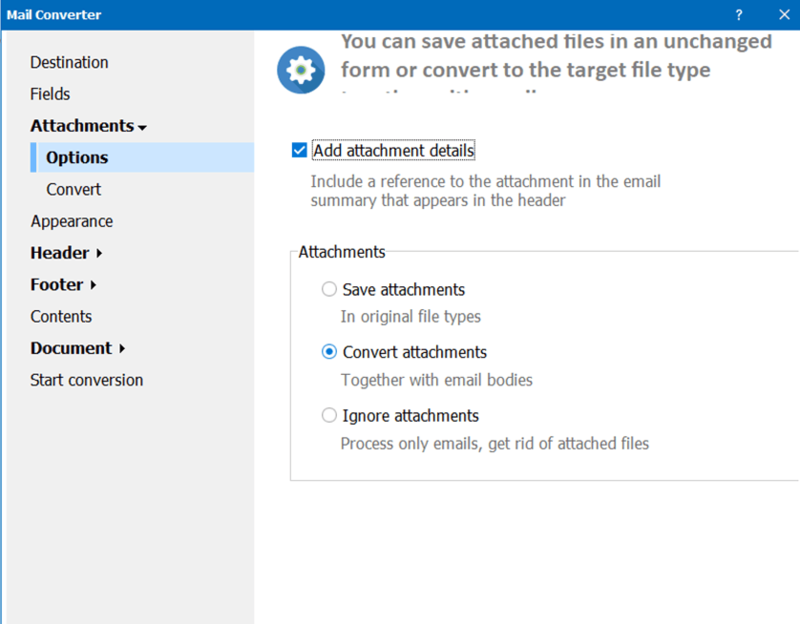 At Attachments -> Options, simply select Convert Attachments Together with Email Bodies. The output of the file includes the original email and all attachments in one consolidated PDF file. This is a great way to back up or archive emails. 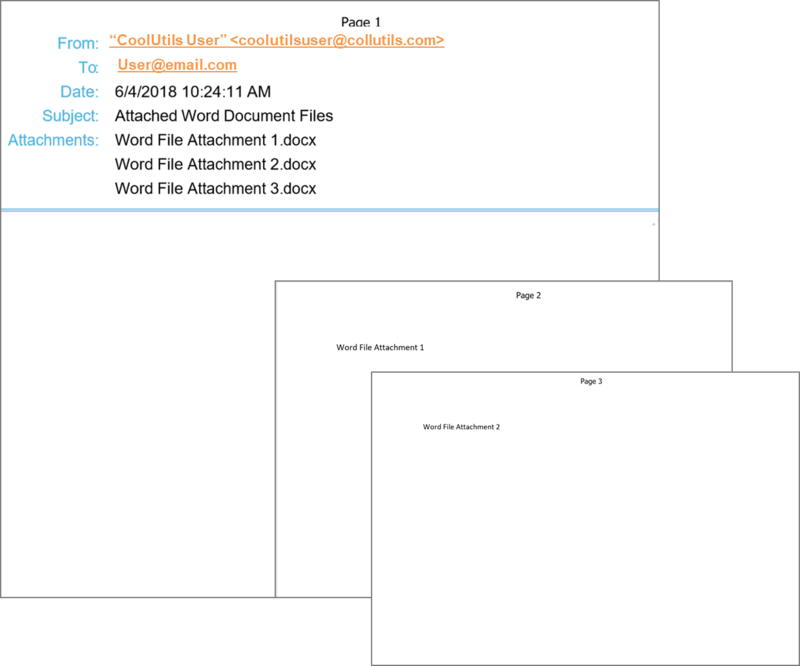 One file to keep track of with the original email and attachments to keep you organized! Case 2: I have an email with a Word document attached. 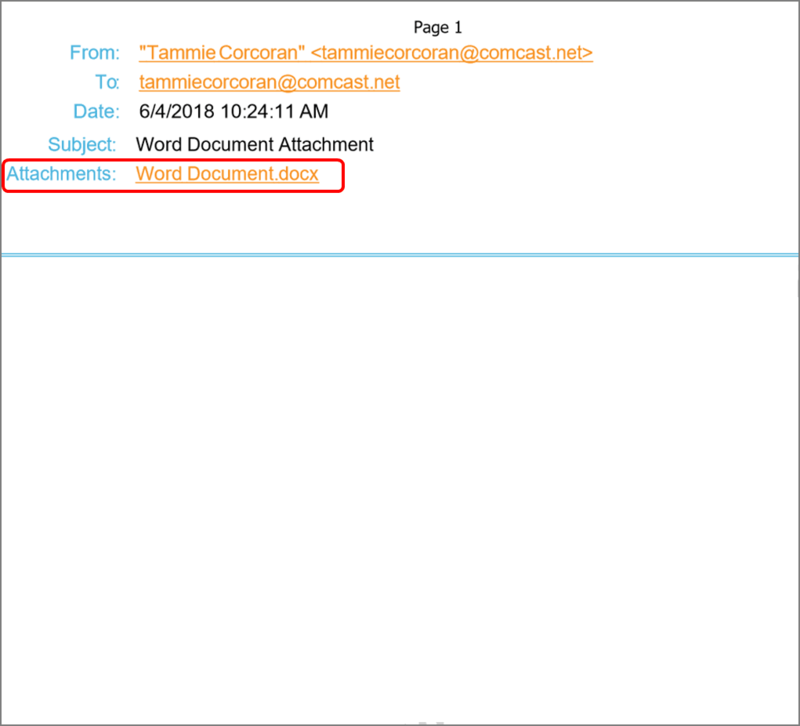 I want to convert the email and include links to the Word document attachment. At Attachments -> Save, simply select Save as a Separate File. You can also choose from several templates to name your attachments. As you can see in the illustration below, your email is saved to a PDF file and your Word document attachment is directly linked! The Word document attachment is saved in the same folder as the converted email PDF file. Case 3: I have an email with Word document attachments. 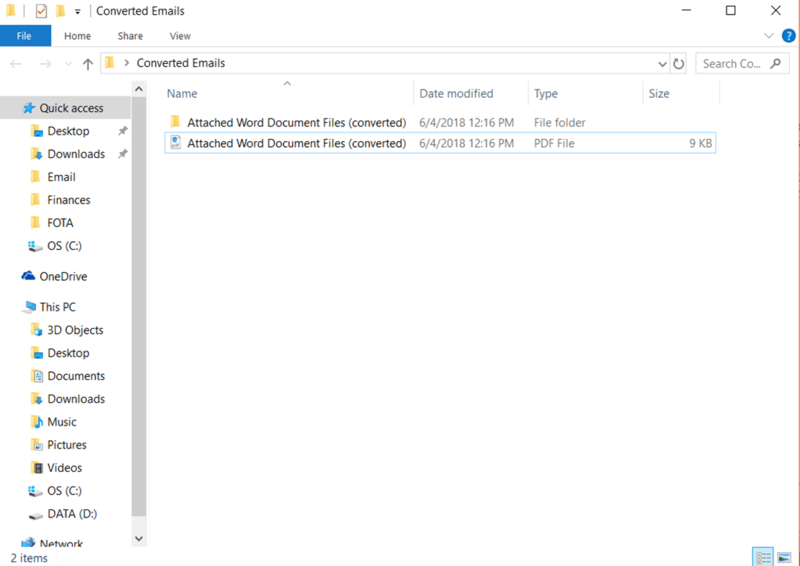 I want to convert the email to PDF and save the Word attachments to a separate file. At Attachments -> Save, simply select Save as a Separate File. You can also use one of the many templates to name your attachments. 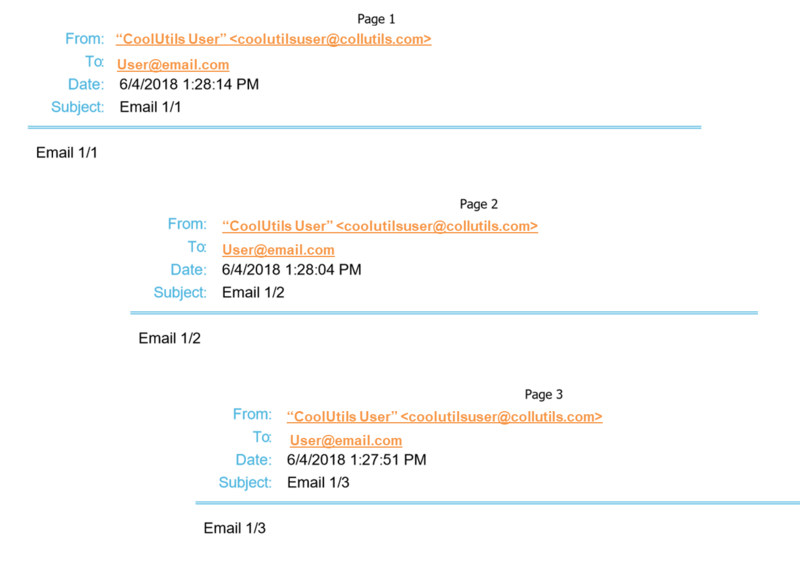 As you can see in the illustration below, the original email was converted to PDF and the Word attachments were saved in a folder along with the original email. Case 4: I have attachments that are in a zipped file. 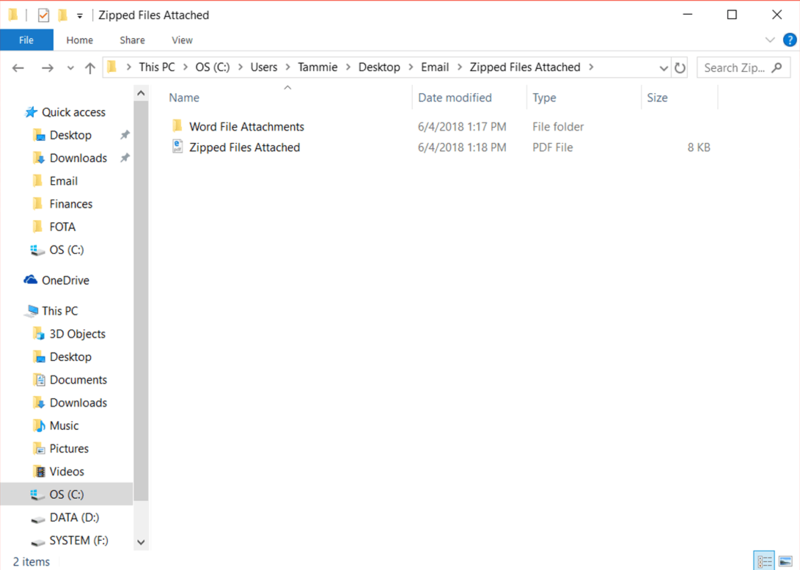 I want to unpack the zip file and save the attachments as a separate file. 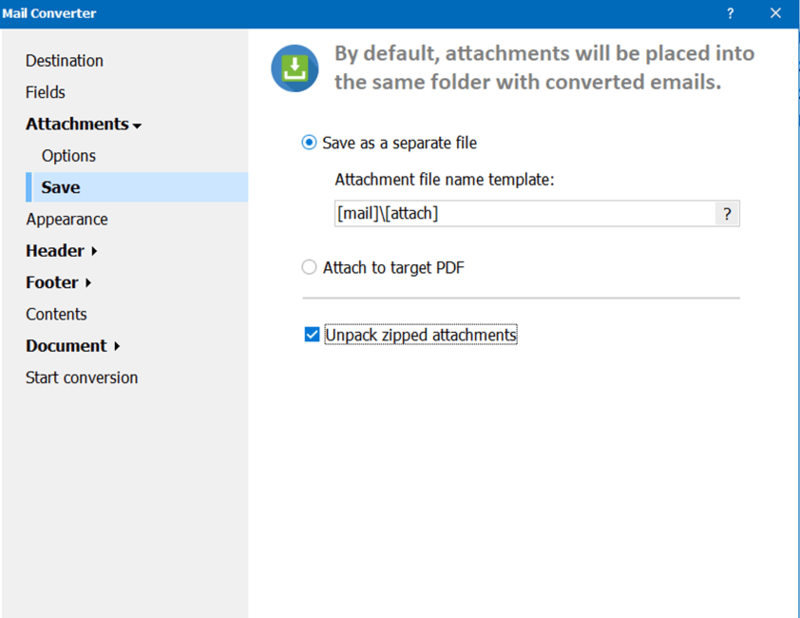 At Attachments -> Save, simply select Unpack zipped attachments. As you can see in the illustration below, the original email was converted to PDF and the Word attachments were unzipped and saved in a separate folder. 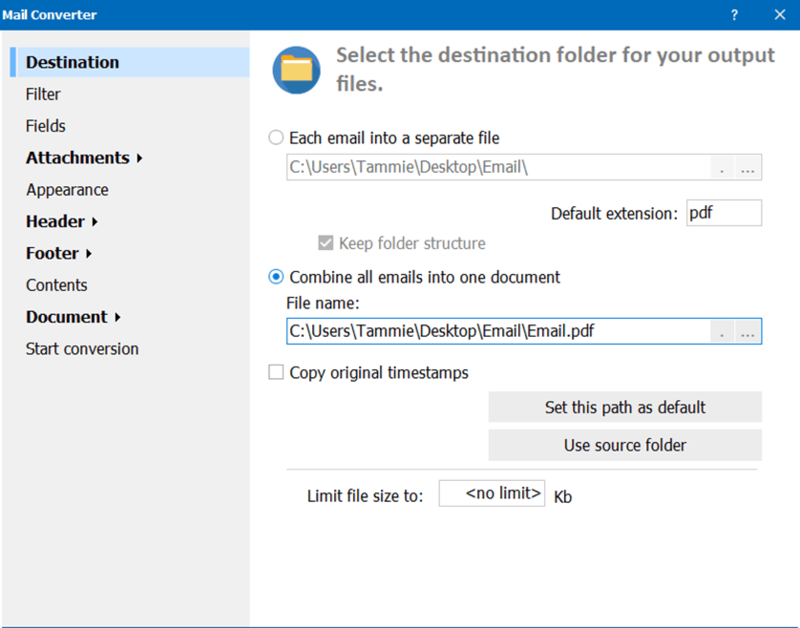 At Destination, simply select Combine all emails into one document. You can choose where to save your new document. As you can see in the illustration below, multiple emails were converted and combined into one convenient PDF file! These are only a few of the things Total Mail Converter Pro can do to make your life easier and your business run smoother. Do you deal with thousands of emails? The app is smart enough to process all types of attached files accordingly. Buy your copy today and see how you can keep email files organized and safe! Have a special requirement? 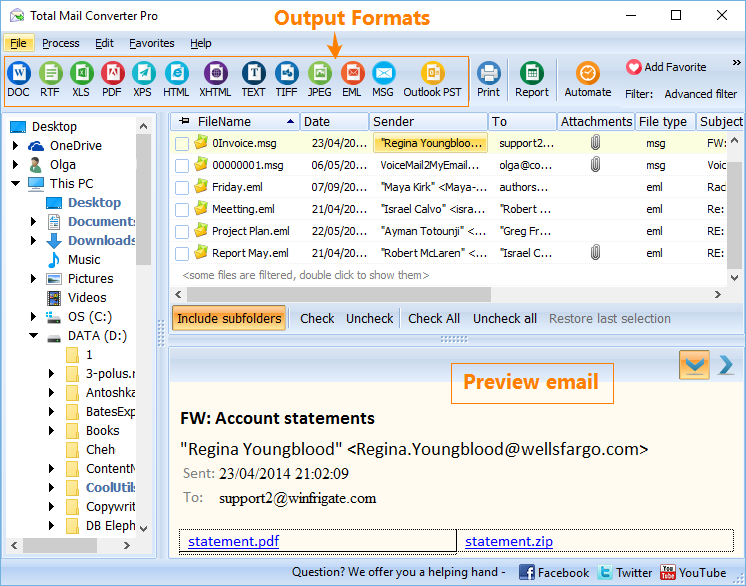 Total Mail Converter Pro is very flexible and you will certainly find a solution to your particular case. 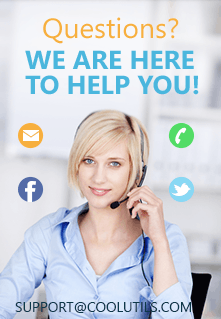 Contact us and we will reply the same day.